Governor Roy Cooper announced Friday he has vetoed House Bill 239 and Senate Bill 68. House Bill 239 would reduce the number of judges on the Court of Appeals to 12 judges. There are currently 15 judges allowed. "Having three fewer judges will increase the court's workload and delay timely appeals," Cooper said. "Just as bad is the real motivation of Republican legislators, which is to stack the court with judges of their own party." Senate Bill 68 combines the elections and ethics boards. "This is the same unconstitutional legislation in another package, and it's an attempt to make it harder for people to register and vote. 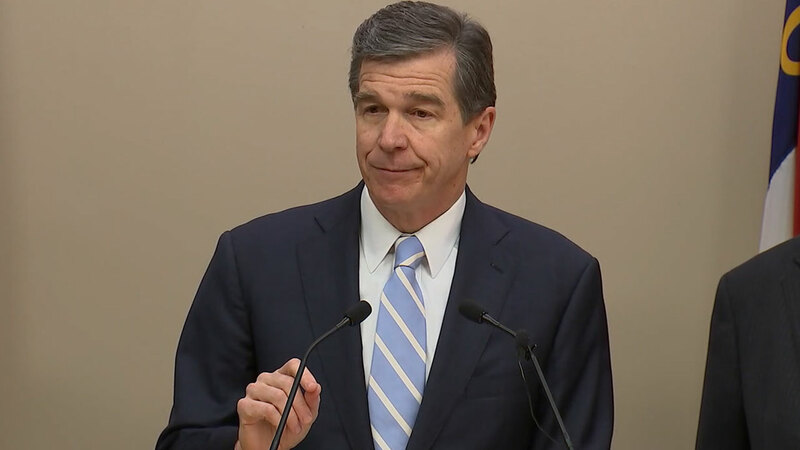 Changing the State Board of Elections to a 4-4 partisan split and local county board of elections to a 2-2 partisan split will result in deadlocked votes," Cooper said in a statement. "It's a scheme to ensure that Republicans control state and county boards of elections in Presidential election years when the most races are on the ballot." "I urge legislators to set the right priorities for North Carolina and stop electoral manipulation, which, like gerrymandering, is what's wrong with politics," he added. Following the announcement, Senate Leader Phil Berger and House Speaker Tim Moore released a joint statement about the vetoes. "North Carolinians deserve a bipartisan ethics and elections board with an equal number of Democrats and Republicans to govern without partisan motivations, but Roy Cooper wants to rig the system for his own benefit, just like when he packed the Court of Appeals with Democrats while serving in the legislature. We have complied with the court's order and restored the governor's ability to make all appointments to that board, yet he is still fighting measures to increase bipartisan cooperation and undo his court packing scheme for no other reason than to preserve his own partisan advantage."